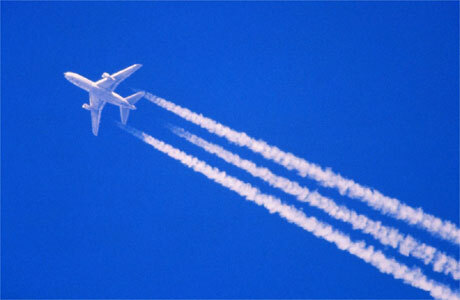 On 1 January 2012, the EU Emissions Trading Scheme started applying to airlines for real. So it was perhaps no coincidence that just before Christmas, and rather more speedily than usual, the EU Court (the CJEU) effectively threw out a challenge by US airlines to the scheme brought in the UK Courts which was referred to the CJEU. The airlines had said that a raft of international rules and conventions were inconsistent with the scheme. The UK denied the unlawfulness; it said, if you want to land in the EU, you have to obey EU rules. I posted on the Advocate-General’s opinion, and the Court has come to the same conclusion albeit by a slightly different route. But, first, what are these emissions trading schemes about? The 2008 aviation emissions trading scheme was grafted on to a 2003 Directive applicable to various heavy industries. To date, the airlines have just had to register for the scheme. As of yesterday, their emissions start to count. Airlines collectively have to emit fewer emissions as the scheme goes on; the cap is 97% of baseline emissions (those in 2004/6) by the end of 2012, and 95% between 2013 and 2020. Each airline is given or buys allowances, which are then surrendered against actual emissions at the end of the relevant scheme period. In year one, 85% of the allowances are dished out free, with the remaining 15% auctioned. If an airline emits less than its allocated share, it can sell its surplus. If it emits more, it has to buy the balance, or face fines of 100 euros per tonnes of CO2 – and a 747 emits about 170 tonnes of CO2 when flying from London to New York. The emissions are measured principally by looking at how far the aircraft had flown – as some sort of measure for how many tonnes of greenhouse gases had been emitted by the aircraft. 42. In essence, the claimants and the interveners supporting them are challenging Directive 2008/101 on three grounds: First, they contend that the European Union is exceeding its powers under international law by not confining its emissions trading scheme to wholly intra-European flights and by including within it those sections of international flights that take place over the high seas or over the territory of third countries. Secondly, they maintain that an emissions trading scheme for international aviation activities should be negotiated and adopted under the auspices of the ICAO [an international organisation] it should not be introduced unilaterally. Thirdly, they are of the opinion that the emissions trading scheme amounts to a tax or charge prohibited by international agreements. 52 First, the European Union must be bound by those rules……..
55 Such a condition if fulfilled where the provision relied upon contains a clear and precise obligation which is not subject, in its implementation or effects, to the adoption of any subsequent measure…..”. The US airlines had backed a whole host of horses gathered from international aviation law, but most of them fell at this set of fences; even if there had been breaches, they would not have been of such a nature that the airlines could rely on them in saying that the scheme was invalid. Those contentions that cleared these fences are set out right at the end of the judgment. – Article 15(3) of that agreement, read in conjunction with Articles 2 and 3(4) thereof. 126 Nor can such application of European Union law affect the principle of freedom to fly over the high seas since an aircraft flying over the high seas is not subject, in so far as it does so, to the allowance trading scheme. Moreover, such an aircraft can, in certain circumstances, cross the airspace of one of the Member States without its operator thereby being subject to that scheme. 127 It is only if the operator of such an aircraft has chosen to operate a commercial air route arriving at or departing from an aerodrome situated in the territory of a Member State that the operator, because its aircraft is in the territory of that Member State, will be subject to the allowance trading scheme. So, on the sovereignty issues, it all comes down to choice; US airlines do not have to fly to Europe. If they don’t land in or take off from the EU, they are not subject to the scheme. If they do, they do. Article 7 of a EU/USA “Open Skies Agreement” (2007, supplemented in 2010) which says that the laws and regulations of one Party within its territory are also to apply to aircraft and the passengers, crew and cargo on aircraft of the other Party and are to be complied with by them. Article 11(1) and (2)(c) of the Open Skies Agreement exempt from taxes, duties, fees and charges, on the basis of reciprocity, inter alia fuel introduced into or supplied in the territory of the European Union for use in an aircraft of an airline established in the United States engaged in international air transportation, even when the fuel is to be used on a part of the journey performed over the territory of the European Union. The third provision is contained in Article 15(3) of the Open Skies Agreement, under which the parties are to apply any environmental measures affecting air services in accordance with the principle of fair and equal opportunity, in a non-discriminatory manner and in a way which must not prejudice the airlines’ prospects in competition with each other. 139 Furthermore, while the ultimate objective of the allowance trading scheme is the protection of the environment by means of a reduction of greenhouse gas emissions, the scheme does not of itself reduce those emissions but encourages and promotes the pursuit of the lowest cost of achieving a given amount of emissions reductions. …. 140 It also follows that the economic logic of the allowance trading scheme consists in ensuring that the reductions of greenhouse gas emissions required to achieve a predetermined environmental outcome take place at the lowest cost. In particular by allowing the allowances that have been allocated to be sold, the scheme is intended to encourage every participant in the scheme to emit quantities of greenhouse gases that are less than the allowances originally allocated to him, in order to sell the surplus to another participant who has emitted more than his allowance…..
141 It is true that in the case of the aviation field the European Union legislature….chose to take the fuel consumption of the operators’ aircraft as a basis for establishing a formula enabling calculation of those operators’ emissions in connection with the flights falling within that annex performed by their aircraft. Aircraft operators must therefore surrender a number of allowances equal to their total emissions during the preceding calendar year, which are calculated on the basis of their fuel consumption for all their flights falling within that directive and an emission factor. 142 However, in contrast to the defining feature of obligatory levies on the possession and consumption of fuel, there is no direct and inseverable link between the quantity of fuel held or consumed by an aircraft and the pecuniary burden on the aircraft’s operator in the context of the allowance trading scheme’s operation. The actual cost for the operator….depends….not directly on the number of allowances that must be surrendered, but on the number of allowances initially allocated to the operator and their market price when the purchase of additional allowances proves necessary in order to cover the operator’s emissions. Nor can it be ruled out that an aircraft operator, despite having held or consumed fuel, will bear no pecuniary burden resulting from its participation in the allowance trading scheme, or will even make a profit by assigning its surplus allowances for consideration. So the scheme did not impose a tax etc because the airlines could operate in such a way that they did not incur any net cost on acquiring the allowances which they needed – hence there was no “direct and inseverable link” between fuel consumed and any cash expended on compliance with the scheme. When all is said and done, the airlines may think themselves lucky. They emit 3% of the EU’s carbon (6% of the UK’s), and face a reduction of 5% of their emissions from their 2004-6 baseline by 2020. Other heavy industry has to reduce its emissions by 20% in 2020 measured against a 1990 baseline. And aviation emissions doubled between 1990 and 2004-6. I can’t help but feel there’s an element of Captain Ahab pursuing the white whale here. China has plans to build another 70 airports; the increased air traffic they must be planning will well and truly outweigh any feeble gesture on the EU’s part. As is often pointed out, if the UK became carbon neutral overnight the Chinese alone will have made up the difference within two years, never mind the Russians, Indians and Brazilians.